Represented by bold abstract compositions, the maritime imagery of Scandinavia comes to life through Ms. Solesvik’s brilliant chromaticity and careful layering of forms. Ms. Solesvik’s artwork is largely inspired by the Natural wonders of Stavanger, Norway, her hometown on the North Sea. An avid sailor, Ms. Solesvik strives to Express these elements through Oils, acrylics, watercolors and mixed media. The artist is primarily concerned with the representation of colors and the juxtaposition of light and shadow. These themes surface through Ms. Solesvik’s blend of warm and cold hues and expressive Paint Application. Working in a Method reminiscent of Hans Hofmann’s Push and Pull theory, Ms. Solesvik cleverly balances large fields of colors, creating irresistible tension and movement across the two-dimensional picture plane. Ms. Solesvik deftly translates the features of landscape into gestural lines and swaths of color. By rendering her beloved environment into these intuitive compositions, Ms. Solesvik ingeniously appeals to a wide range of Viewers, transporting each individual to a soothing realm of aesthetic beauty shaped by their own nostalgia and experience. 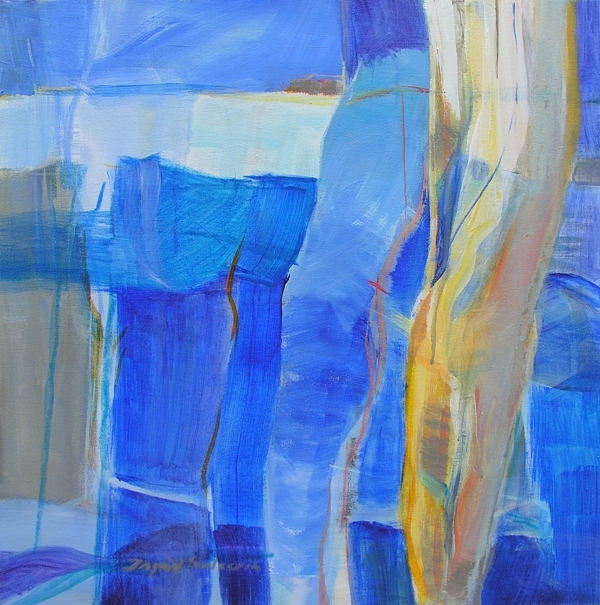 Ingrid Solesvik has exhibited her paintings in solo and group exhibitions around the world, including shows in Belgium, Italy, Portugal, England, Norway and the United States. Her work is held in many private and corporate Collections. Amsterdam Whitney Gallery is delighted to showcase her beautiful artworks. Ruthie Tucker, Executive Director and Curator. Reference Amsterdam Whitney Gallery .